The Seminole are a Native American people originally from Florida. Today, they principally live in Oklahoma with a minority in Florida, and comprise three federally recognized tribes: the Seminole Tribe of Oklahoma, the Seminole Tribe of Florida, and Miccosukee Tribe of Indians of Florida, as well as independent groups. The Seminole nation emerged in a process of ethnogenesis from various Native American groups who settled in Florida in the 18th century, most significantly northern Muscogee (Creeks) from what is now Georgia and Alabama. The word “Seminole” is derived from the Creek word simanó-li, which may itself be derived from the Spanish word cimarrón, meaning “runaway” or “wild one”. The Seminole became increasingly independent of other Creek groups and established their own identity. They developed a thriving trade network during the British and second Spanish periods (roughly 1767–1821). The tribe expanded considerably during this time, and was further supplemented from the late 18th century by free blacks and escaped slaves who settled near and paid tribute to Seminole towns. The latter became known as Black Seminoles, although they kept their own Gullah culture. After the United States achieved independence, its settlers increased pressure on Seminole lands, leading to the Seminole Wars (1818–1858). The Seminole were first confined to a large inland reservation by the Treaty of Moultrie Creek (1823) and then forcibly evicted from Florida by the Treaty of Payne’s Landing (1832). By 1842, most Seminoles and Black Seminoles had been removed to Indian Territory west of the Mississippi River. During the American Civil War, most Oklahoma Seminole allied with the Confederacy, after which they had to sign a new treaty with the U.S., including freedom and tribal membership for the Black Seminole. Today residents of the reservation are enrolled in the federally recognized Seminole Nation of Oklahoma, while others belong to unorganized groups. Seminole groups in Oklahoma and Florida had little contact with each other until well into the 20th century, but each developed along similar lines as the groups strived to maintain their culture while they struggled economically. Old crafts and traditions were revived in the mid-20th century as Seminoles began seeking tourism dollars when Americans began to travel more on the country’s growing highway system. In the 1970s, Seminole tribes began to run small bingo games on their reservations to raise revenue, winning court challenges to initiate Indian gaming, which many U.S. tribes have adopted to generate revenues for welfare, education, and development. The Seminole Tribe of Florida has been particularly successful with gambling establishments, and in 2007, it purchased the Hard Rock Café and has rebranded or opened several large gaming resorts under that name. 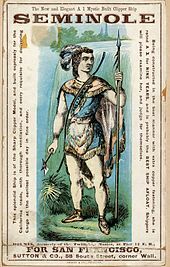 The word “Seminole” is almost certainly derived from the Creek word simanó-li, which has been variously translated as “frontiersman”, “outcast”, “runaway”, “separatist”, and similar words. More speculatively, the Creek word itself, may be derived from the Spanish word cimarrón, meaning “runaway” or “wild one”, historically used for certain Native American groups in Florida. The people who constituted the nucleus of this Florida group either chose to leave their tribe or were banished. At one time, the terms “renegade” and “outcast” were used to describe this status, but the terms have fallen into disuse because of a negative connotation. They identify as yat’siminoli or “free people” because for centuries their ancestors had resisted Spanish efforts to conquer and convert them, as well as English efforts to take their lands and use them in their wars. They signed several treaties with the United States including the Treaty of Moultrie Creek and the Treaty of Paynes Landing. During the colonial years, the Seminole were on good terms with both the Spanish and the British. In 1784, after the American Revolutionary War, Britain came to a settlement with Spain and transferred East and West Florida to it. The Spanish Empire‘s decline enabled the Seminole to settle more deeply into Florida. They were led by a dynasty of chiefs of the Alachua chiefdom, founded in eastern Florida in the 18th century by Cowkeeper. Beginning in 1825, Micanopy was the principal chief of the unified Seminole, until his death in 1849, after Removal to Indian Territory. This chiefly dynasty lasted past Removal, when the US forced the majority of Seminole to move from Florida to the Indian Territory (modern Oklahoma) after the Second Seminole War. Micanopy’s sister’s son, John Jumper, succeeded him in 1849 and, after his death in 1853, his brother Jim Jumper became principal chief. He was in power through the American Civil War, after which the US government began to interfere with tribal government, supporting its own candidate for chief. 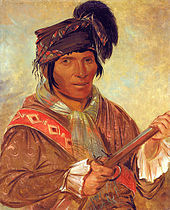 During the period of the Seminole Wars (1818–1858), the tribe was first confined to a large reservation in the center of the Florida peninsula by the Treaty of Moultrie Creek (1823) and then evicted from the territory altogether according to the Treaty of Payne’s Landing (1832). By 1842, most Seminoles and Black Seminoles had been coerced or forced to move to Indian Territory west of the Mississippi River. During the American Civil War, most of the Oklahoma Seminole allied with the Confederacy, after which they had to sign a new treaty with the U.S., including freedom and tribal membership for the Black Seminole. Today residents of the reservation are enrolled in the federally recognized Seminole Nation of Oklahoma, while others belong to unorganized groups. The Oklahoma and Florida Seminole filed land claim suits in the 1950s, which were combined in the government’s settlement of 1976. The tribes and Traditionals took until 1990 to negotiate an agreement as to division of the settlement, a judgment trust against which members can draw for education and other benefits. The Florida Seminole founded a high-stakes bingo game on their reservation in the late 1970s, winning court challenges to initiate Indian Gaming, which many tribes have adopted to generate revenues for welfare, education and development. In the early 19th century, the U.S. Army made increasingly frequent invasions of Spanish territory to recapture escaped slaves. General Andrew Jackson‘s 1817–1818 campaign against the Seminole became known as the First Seminole War . Following the war, the United States effectively controlled East Florida. In 1819 the United States and Spain signed the Adams-Onís Treaty, which took effect in 1821. According to its terms, the United States acquired Florida and, in exchange, renounced all claims to Texas. Andrew Jackson was named military governor of Florida. As European-American colonization increased after the treaty, colonists pressured the Federal government to remove Natives from Florida. Slaveholders resented that tribes harbored runaway Black slaves, and more colonists wanted access to desirable lands held by Native Americans. Georgian slaveholders wanted the “maroons” and fugitive slaves living among the Seminoles, known today as Black Seminoles, returned to slavery. Under colonists’ pressure, the US government made the 1823 Treaty of Camp Moultrie with the Seminole, seizing 24 million acres in northern Florida and offering them a greatly reduced reservation in the Everglades of about 100,000-acre (400 km2). 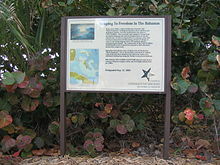 They and the Black Seminoles moved into central and southern Florida. In 1832, the United States government signed the Treaty of Payne’s Landing with a few of the Seminole chiefs. They promised lands west of the Mississippi River if the chiefs agreed to leave Florida voluntarily with their people. The Seminoles who remained prepared for war. White colonists continued to press for their removal. Several treaties seem to bear the mark of representatives of the Seminole tribe, including the Treaty of Moultrie Creek and the Treaty of Payne’s Landing. Some claim that the Florida Seminole are the only tribe in America to have never signed a peace treaty with the U.S. Government. In the 1950s, federal projects in Florida encouraged the tribe’s reorganization. They created organizations within tribal governance to promote modernization. As Christian pastors began preaching on reservations, Green Corn Ceremony attendance decreased. This created tension between religiously traditional Seminole and those who began adopting Christianity. In the 1960s and 1970s, some tribal members on reservations, such as the Brighton Seminole Indian Reservation in Florida, viewed organized Christianity as a threat to their traditions. The Seminole Nation of Oklahoma now has about 16,000 enrolled members, who are divided into a total of fourteen bands; for the Seminole members, these are similar to tribal clans. The Seminole have a society based on a matrilineal kinship system of descent and inheritance: children are born into their mother’s band and derive their status from her people. To the end of the nineteenth century, they spoke mostly Mikasuki and Creek. Two of the fourteen are “Freedmen Bands,” composed of members descended from Black Seminoles, who were legally freed by the US and tribal nations after the Civil War. They have a tradition of extended patriarchal families in close communities. While the elite interacted with the Seminole, most of the Freedmen were involved most closely with other Freedmen. They maintained their own culture, religion and social relationships. At the turn of the 20th century, they still spoke mostly Afro-Seminole Creole, a language developed in Florida related to other African-based Creole languages. The Nation is ruled by an elected council, with two members from each of the fourteen bands, including the Freedmen’s bands. The capital is at Wewoka, Oklahoma. The remaining few hundred Seminoles survived in the Florida swamplands, avoiding removal. 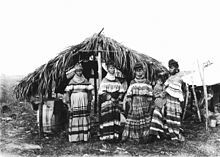 They lived in the Everglades, to isolate themselves from European-Americans. Seminoles continued their distinctive life, such as “clan-based matrilocal residence in scattered thatched-roof chickee camps.” Today, the Florida Seminole proudly note the fact that their ancestors were never conquered. The Seminole worked to adapt, but they were highly affected by the rapidly changing American environment. Natural disasters magnified changes from the governmental drainage project of the Everglades. Residential, agricultural and business development changed the “natural, social, political, and economic environment” of the Seminole. In the 1930s, the Seminole slowly began to move onto federally designated reservation lands within the region. The US government had purchased lands and put them in trust for Seminole use. Initially, few Seminoles had any interest in moving to the reservation land or in establishing more formal relations with the government. Some feared that if they moved onto reservations, they would be forced to move to Oklahoma. Others accepted the move in hopes of stability, jobs promised by the Indian New Deal, or as new converts to Christianity. Beginning in the 1940s, however, more Seminoles began to move to the reservations. A major catalyst for this was the conversion of many Seminole to Christianity, following missionary effort spearheaded by the Creek Baptist evangelist Stanley Smith. 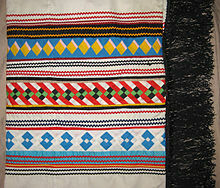 For the new converts, relocating to the reservations afforded them the opportunity to establish their own churches, where they adapted traditions to incorporate into their style of Christianity. Reservation Seminoles began forming tribal governments and forming ties with the Bureau of Indian Affairs. 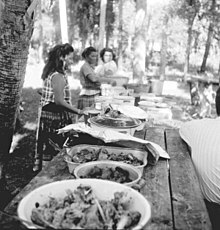 In 1957 the nation reorganized and established formal relations with the US government as the Seminole Tribe of Florida. The Seminole Tribe of Florida is headquartered in Hollywood, Florida. They control several reservations: Big Cypress, Brighton Reservation, , Hollywood Reservation, , and Tampa Reservation. The Seminole in Florida have been engaged in stock raising since the mid-1930s, when they received cattle from western Native Americans. The Bureau of Indian Affairs (BIA) hoped that the cattle raising would teach Seminoles to become citizens by adapting to agricultural settlements. The BIA also hoped that this program would lead to Seminole self-sufficiency. Cattle owners realized that by using their cattle as equity, they could engage in “new capital-intensive pursuits”, such as housing. From beginnings in the 1930s during the Great Depression, the Seminole Tribe of Florida today owns “one of the largest cattle operations in Florida, and the 12th largest in the nation. Fewer Seminole rely on crafts for income because gaming has become so lucrative. The Miccosukee Tribe earns revenue by owning and operating a casino, resort, a golf club, several museum attractions, and the “Indian Village”. At the “Indian Village”, Miccosukee demonstrate traditional, pre-contact lifestyles to educate people about their culture. “In 1979, the Seminoles opened the first casino on Indian land, ushering in what has become a multibillion-dollar industry operated by numerous tribes nationwide.” This casino was the first tribally operated bingo hall in North America. Since its establishment, gaming has become an important source of revenue for tribal governments. Tribal gaming has provided secure employment, and the revenues have supported higher education, health insurance, services for the elderly, and personal income. In more recent years, income from the gaming industry has funded major economic projects such as sugarcane fields, citrus groves, cattle, ecotourism, and commercial agriculture. ^ a b c Sturtevant, William C., Jessica R. Cattelino (2004). “Florida Seminole and Miccosukee”. In Raymond D. Fogelson (ed.). Handbook of North American Indians, Vol. 14 (PDF). Washington, DC: Smithsonian Institution. pp. 429–449. Retrieved 21 June 2012. ^ Herrera, Chabeli (27 May 2016). “How the Seminole Tribe came to rock the Hard Rock empire”. The Miami Herald. ^ Hawkins, Philip Colin (June 2011). “The Textual Archaeology of Seminole Colonization”. Florida Anthropologist. 64 (2): 107–113. ^ “Definition of Seminole”. Merriam-Webster. Retrieved 2011-03-02. ^ Hatch, Thom (2012). Osceola and the Great Seminole War. New York: St. Martin’s Press. p. 68. ^ Hatch, Thom (2012). Osceola and the Great Seminole War. New York: St. Martin’s Press. pp. 34–70. ^ Hatch, Thom (2012). Osceola and the Great Seminole War. New York: St. Martin’s Press. p. 100. ^ Hatch, Thom (2012). Osceola and the Great Seminole War. New York: St. Martin’s Press. pp. 106–110. ^ Howard, Rosalyn. (2006) “The ‘Wild Indians’ of Andros Island: Black Seminole Legacy in the Bahamas”, Journal of Black Studies. Vol. 37, No. 2, pp. 275–298. Abstract on-line at “Archived copy”. Archived from the original on 2015-11-05. Retrieved 2013-04-11. CS1 maint: Archived copy as title (link). ^ a b “Concerning the Miccosukee Tribe’s Ongoing Negotiations with the National Park Service Regarding the Special Use Permit Area”. Resources Committee, US House of Representatives. September 25, 1997. Retrieved 2011-03-02. ^ Hatch, Thom (2012). Osceola and the Great Seminole War. New York: St. Martin’s Press. pp. 261–275. ^ a b c “Seminole History”. Seminole Tribe of Florida. Retrieved 2011-03-02. ^ “Seminoles to buy Hard Rock chain”. Market Watch. December 7, 2006. Retrieved 2011-03-02. ^ Robert Andrew Powell (August 24, 2005). “Florida State Can Keep Its Seminoles”. New York Times. Retrieved 2011-03-02. Adams, Mikaëla M., “Savage Foes, Noble Warriors, and Frail Remnants: Florida Seminoles in the White Imagination, 1865–1934,” Florida Historical Quarterly, 87 (Winter 2009), 404–35. Clark, C. Blue. “Native Christianity Since 1800.” Sturtevant, William C., general editor and Raymond D. Fogelson, volume editor. Handbook of North American Indians: Southeast. Volume 14. Washington DC: Smithsonian Institution, 2004. ISBN 0-16-072300-0. Hawkins, Philip Colin. “The Textual Archaeology of Seminole Colonization.” Florida Anthropologist 64 (June 2011), 107–113. Mahon, John K.; Brent R. Weisman (1996). “Florida’s Seminole and Miccosukee Peoples”. In Gannon, Michael (Ed.). The New History of Florida, pp. 183–206. University Press of Florida. ISBN 0-8130-1415-8. Frank, Andrew K. “Taking the State Out: Seminoles and Creeks in Late Eighteenth-Century Florida.” Florida Historical Quarterly 84.1 (2005): 10-27. Lancaster, Jane F. Removal Aftershock: The Seminoles’ Struggles to Survive in the West, 1836-1866 (1995). Sattler, Richard A. “Cowboys and Indians: Creek and Seminole Stock Raising, 1700–1900.” American Indian Culture and Research Journal 22.3 (1998): 79-99. Sturtevant, William C. (1971). “Creek into Seminole.” In North American Indians in Historical Perspective, edited by Eleanor B. Leacock and Nancy O. Lurie, 92–128. New York: Random House.